A woman who kept $5,600 in cash inside her toaster oven lost her money after her husband returned the toaster to Target and the department store gave the money to a man who claimed to be her son, police said. EAST HARLEM — What happened to keeping money under a mattress? A woman lost $5,600 she stored in two envelopes inside a Black & Decker toaster oven after her husband returned the item to Target last weekend, according to the NYPD. The store recovered the money but gave it to a man who falsely claimed to be the woman's son, police said. On Sunday, Aug. 8, the husband took the item back to the department store at 517 East 117th St. The next morning, his wife remembered she had put the money inside and called the store, according to the police. An employee told her the envelopes had been recovered from the toaster oven and handed over to a general manager for safekeeping. At roughly 10 p.m., a man claiming to be the 58-year-old woman’s son walked to the Target and picked up the cash from a security guard at Target, police said. 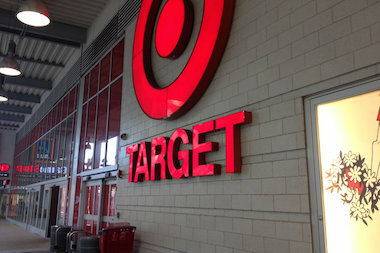 Target is working with the NYPD but declined to comment because it is an active investigation, a spokeswoman said. Police showed surveillance video to the woman, who said she does not recognize the man who walked out of the store with her money, according to the NYPD.